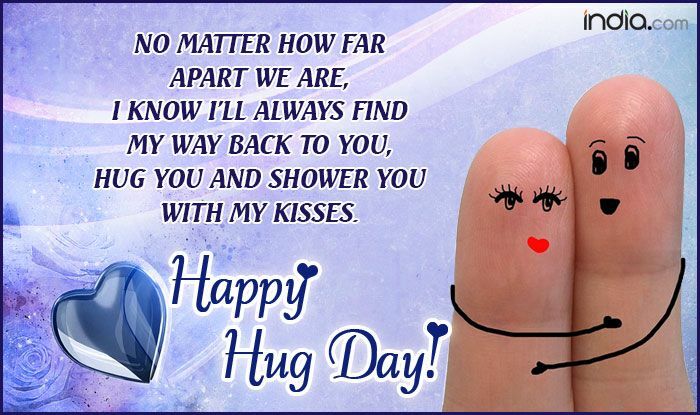 On Hug Day, send these wishes and messages to your loved ones. 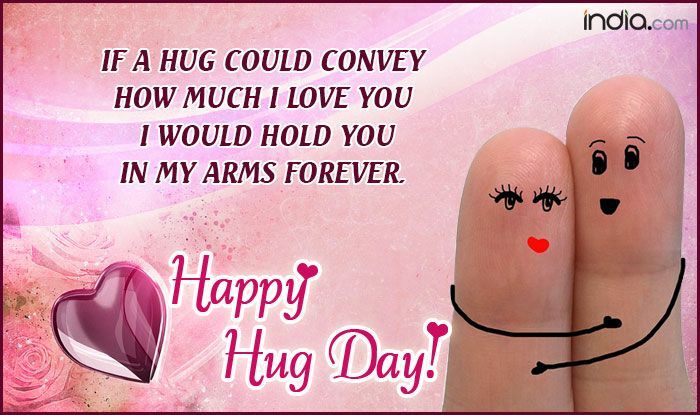 Hug Day is the sixth day of Valentine’s week and it is celebrated on February 12 every year. Well, there is no denying the fact that a warm hug can make you smile. Teddy bears, chocolates, roses and kisses are awesome but a hug often conveys the heart’s feelings in more subtle as well as clear ways. The gesture makes you calm and fills you up with love and glee. There are times when you can’t recollect words and that time a simple hug can say a lot. This is the day to celebrate the bond of closeness. 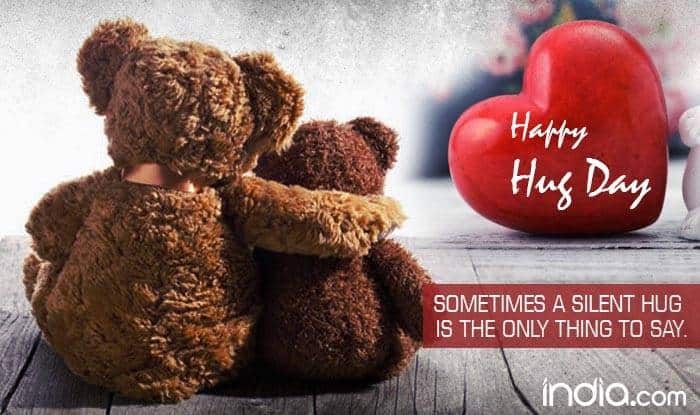 Although it is Valentine Week, take the opportunity on Hug Day to give all your loved ones, friends, family, and lover a warm hug to let them know how much you love and care for them. You can also make them feel special by sending these wishes and greetings. 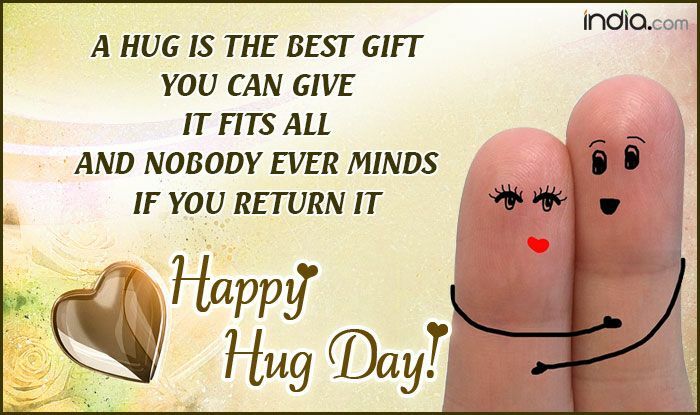 Never Wait Until 2mrrow To Hug Someone You Could Hug 2day Coz When You Give One You..Get One Right Back Your Way. 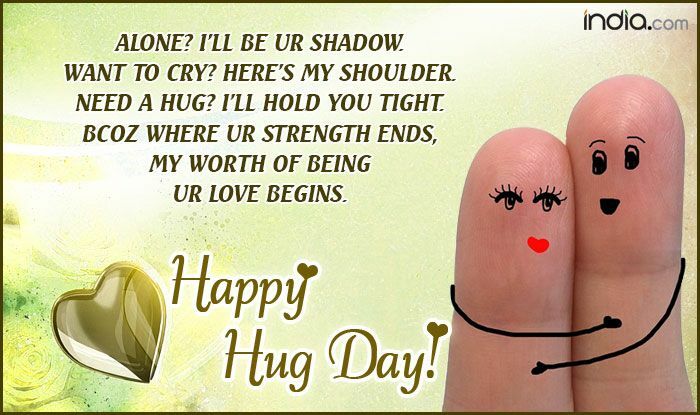 Happy Hug Day! A Hug Is Just A Hug Till U Find The 1 U’re Always Thinking Of. It is always the perfect time to hug your loved one; just hug and feel the warmth of love. 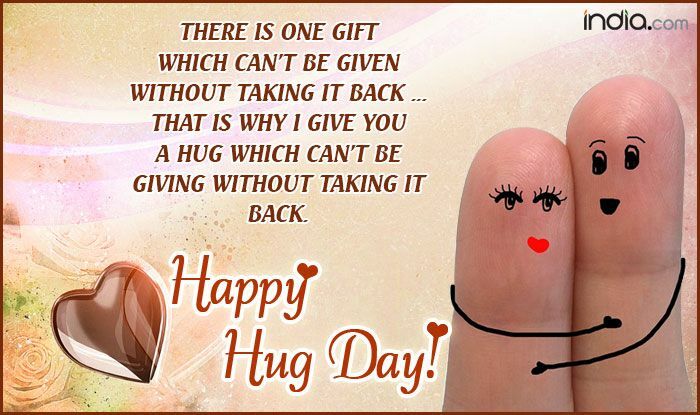 Happy Hug Day. I was waiting for someone to come and hug me so tight that all my broken heart pieces get affixed, and then you came. 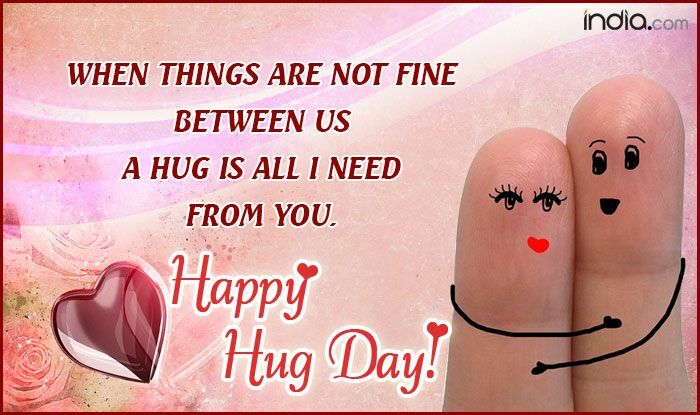 Happy Hug Day. Valentine’s Day will be celebrated on February 14 and its festivities have already kick-started. So, don’t forget to make your partner feel special.